There are many statistical tools you can use for social media analysis. If you want to maximize your presence without spending inordinate amounts of time, you need to know the best day and time to post content, as well as which kind of posts garner the most engagement from your fans. To get that vital information, you’ll need to use a reliable social tool. Here are some highlights which tools you can utilize to make an impact on Twitter, Facebook and Instagram. Every day millions of people use Twitter to discover and disperse ideas across the web. Now, Twitter has become the daily go-to social media platform for people to connect with businesses and organizations. It’s great because it gives brands the opportunity to connect and assist their customers in real time. So, if you’re looking for a reliable tool to help you analyze your followers, try a free tool like Tweriod. Tweriod helps users make the most of Twitter by letting their brand know the best time to tweet. It will analyze up to 1,000 followers, so if you have thousands of followers, you’ll need to upgrade to the premium service. With the ever changing landscape of Facebook, it’s hard to truly know the impact of your posting without feeling like you need to pay for advertisements to reach your audience. If you’ve been using Facebook Insights to try to get an idea on what is happening with your Facebook page, you’re likely seeing some interesting results. Unfortunately, you’re also might be a bit confused by what Insights is telling you. Welcome PageLever to your analytics mix. PageLever provides a deeper look at your fan pages and focuses on the day-to-day usability of the fans that follow your page. Facebook Insights only focuses on seven points wherein Pagelever can give you over 30. Instagram is a photo-sharing and social networking service that enables users to take photographs, apply filters, and share them on other social networking sites such as Twitter or Facebook. Instagram is an excellent source for your brand to curate positive content and encourage customers to share images of them with your product or service. A great free tool to use is Statigram, which allows you to access Instagram from your computer to view, measure, manage, and promote your Instagram account. The third-party application creates a visually-appealing, shareable profile page that sums up your Instagram history. Tomorrow our CEO, S. Lynn Cooper has been invited to serve as a media match mentor for the annual Day of Fosterly in Arlington, VA. Not your average conference, the Day of Fosterly is more than eight hours of collaborative entrepreneurship for anyone interested in starting, growing, or exiting a business. With a focus on spotlighting many of the best endeavors in the Washington, DC metropolitan region, attendees will depart with hands on experience, knowledge and relationships. We recognize that getting the word out about what you’re up to might be difficult. Accordingly, we’re bringing in some members of the media to help you frame your stories effectively. Taking place in a three minute speed dating format, you’ll have the opportunity to pitch your story to journalists who are positioned to cover them. To view a list of participating journalists, visit the People page. According to the National Center for Education Statistics, 21.6 million students were enrolled in American colleges and universities in 2012. With today’s youth constantly texting, tweeting, Tumblring, posting statuses on Facebook and updating Instagram, among other social networking sites at a rapid pace, schools need to engage with applicants and current students regularly. It’s clear the days of shiny brochures, flashy websites and in-person campus visits are no longer enough to attract high-caliber students. In order for social media to work effectively, key players must include students. Coordinate discussions with current students since they are avid users of social media and can provide insight about student activities and what influenced them to attend. Also, consider hiring a consultant to analyze the various methods utilized by faculty members and staff. That’ll help when you’re creating a robust campaign. So, you’re institution has Facebook, Twitter…now what? Well, if nothing else, a social media coordinator or manager must ensure the university or college is engaging with the current followers, as well as prospective ones. Students will make a snap judgment about the college if the pages are not updated frequently, or if inquiries are left unanswered. Make it a habit to check your pages daily and respond to requests within 24 hours. Keep a log of these inquiries and forward information to appropriate departments for follow-up. Many students cannot afford to visit the campus, so why not create a series of videos featuring current students and faculty? It will allow prospective students to feel as though they stepped foot on campus for a college tour. The video series can address tours, the application process, financial aid, as well as provide sneak peeks into classes in session. Make sure these videos are no more than five minutes in length and don’t be afraid to inject personality in them. Many colleges are taking advantage of the mobile revolution by building applications for Android and iPhones. A report from the Pew Internet Project found that 78% of people ages 12 to 17 have a cellphone, and more than 50% of those phones are smartphones. These statistics show that most young adults are perusing the web via their mobile device. Hence, it makes sense for universities to design an app where students can get information about the school, course offerings, admissions status and financial standing. Social media is expanding with millions of people worldwide interacting before, during and after work. While social media is an extraordinary communications’ tool, employers can’t help but wonder what employees are discussing on social media during work hours—and even when they’re off the clock. It’s important that employees understand the impact they have on your brand, as well as their personal brand, when socializing online. The ramifications can be costly, resulting in job loss, forced resignations and legal action. While Twitter and LinkedIn may easily be categorized as social media, what about YouTube? What about a personal blog? Your social media policy must have a concrete definition, including the various platforms the guidelines apply to. The best way to find a social media advocate within the company is to seek out the person or team of people who are most passionate about communicating with customers online. Seek those people out and provide them with the training needed to represent your brand. Does your brand have a YouTube page, Twitter account, or Facebook fan page? Your brand needs to confirm that the ownership of these social media accounts belongs to the brand, not the staffer whose current job entails monitoring the company’s online presence. Due to the casual nature of social media, it’s easy to give away proprietary information without realizing it. Since each social media platform has its own imperfections, it’s best to instruct employees never to share any confidential or proprietary information via their corporate or personal profiles. You must allow your employees the right to engage on social media, but, of course, you want to protect your brand at the same time. Since this can be a very touchy subject, consider contacting your legal counsel when formulating your policy. If you expect your employees to utilize social networking tools properly, you must provide training. Keep in mind what they post online is also a reflection of your brand. A social media policy will not do your brand any justice if you don’t actually monitor the networks where dialogue is taking place. There are plenty of tools to monitor social media (read “4 Tools to Help You Become a Savvy Social Listener”). On a typical day, peruse through your social media streams and see how many brands are touting and seeding their content, products and/or services, but not necessarily listening to what their audience wants. This social media management tool is quite dynamic. When it comes to listening, you can create streams to monitor your competitor’s feed, particular keywords or hashtags, and identify tastemakers who are talking about your brand. If your brand sells sporting goods, now that NCAA March Madness is upon us, set up a Twitter stream that monitors hashtags such as #NCAA, #MarchMadness or #basketball. Listen to what others are saying not only about the tournament but about sporting equipment, clothing and accessories. Cyfe is an all-in-one dashboard that helps users monitor and analyze data found across all your online services like Google+, Constant Contact, Salesforce, Facebook, WordPress and Twitter, to name a few, from one location. Utilize the Google Analytics widget to identify what content is pushing the most engagement from your community. This free social media monitoring service locates and measures the most important conversations among hundreds of billions of tweets instantly. With Topsy, you can analyze Twitter usernames, keywords or web domains over various periods of time— day, week, month, or year. Filter tweets by displaying “influential only” (pro version). This option will only display the most influential tweets, and the accounts they were tweeted from, so you can contact these key influencers (if appropriate) to help shape and influence their conversation about your branding. These email updates, which automatically notify users when a specific keyword or phrase is mentioned online, allow you to stay on top of any conversation involving your business, industry or areas of interest. Sift through various alerts pertaining to your industry. They could be used as blog articles, Facebook fan page discussions or helpful resources. Brands that get to know their clientele, respect and trust their competency, and listen continually to how individuals are utilizing their products or services will have a far greater chance of developing and retaining their customers. Before you decide to start your lead campaign ensure that your corporate and personal profiles are complete, free of grammatical errors and full of great copy. Your profiles will dictate the way others view you and your brand. You can do numerous things with LinkedIn such as build connections within your industry, research competitors, and source talent. But how those connections are garnered is another story.LinkedIn groups are an excellent way to connect with others. Identify groups based on your industry and review the activity of each group prior to deciding to join. Read posts from others and, if you have information to contribute that will help another professional, then share it. The more you give to the community, the more benefits you will sow. After attending an event or conference, gather the business cards of the individuals you met with and connect with them on LinkedIn. This move will secure a digital connection where you can share information and identify others within your shared network. LinkedIn has some great applications you can utilize to enrich the content on your profile. From WordPressapplications, which can display your latest blog posts, to the SlideShare application, which will show PowerPoint presentations, find which tool best fits your needs. The easiest way to showcase your work on LinkedIn is to post it as a status update with a link. It will remain on your profile until your next update. The term cold calling has been around for decades; online it’s referred to as cold messaging. If you have no connection to an individual on LinkedIn, your first communications should not be a sales pitch. You need to develop a relationship with this individual prior to attempting to sell them anything. Ask yourself: If someone you don’t know walked up to you on the street and asked you to buy something, what would you do? Nine times out of ten you would say no thank you and move on. When these unsolicited messages are shared on social media platforms, they are treated as spam. 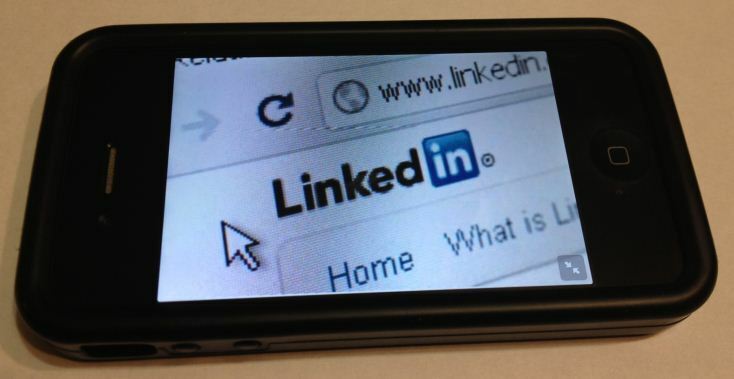 Have you utilized LinkedIn to build your business? If so, share your story below in the comment section. S. Lynn Cooper is a Washington, DC-based digital strategist and communications expert. Cooper is the founder and director of Socially Ahead, a strategic communications agency that specializes in the creation of social and digital strategies and campaign management. Follow her on Twitter at@sociallyahead. There’s no question that social media is an ideal venue for marketing and sales. But along with the rewards come threats, due in part to the fundamental qualities of cyberspace: easy access, ambiguity, and global reach. Because the online world has seen little formal policing, it’s perfect for the “hijacking” of brands. Brands such as NBC News, Jeep, Burger King and USA Today have fallen victim to hacking, exposing the vulnerability of these platforms. While I cannot assure you that your social media accounts will not be hacked, here are some tips to minimize your brand’s risk of being victimized. HootSuite, an online brand management service, can provide your organization with the ability to allow multiple employees to monitor, engage and manage your accounts without giving them access to your social media sites’ passwords. HootSuite Teams allows you to control access to social networks and profiles, as well as change permissions any time to remain consistent with your business needs. If you haven’t already, develop a social media policy and review with your employees what is and is not appropriate to post online to ensure that you safeguard confidential information. Also, require employees to log into social media accounts via one computer rather than allowing them to access them from a public venue such as a hotel or conference center. Keep up to date with warnings from news outlets about tactics employed by spammers and hackers. Never click on links that contain suspicious messages or that are from sources that you do not know. Consider setting up a Google Alert, utilizing keywords such as hacked, spammer or hijacked. Sites including Facebook and Google+ show your active sessions. As a general security precaution, you can enable these features to ensure no authorized person is logging into your accounts. A password should be hack-proof yet something that is simple enough to remember. Powerful passwords combine upper and lower case letters, symbols and numbers. Change the password as soon as an employee leaves the company or if you suspect that security has been compromised. It’s imperative that everyone on your team who manages or evaluates your brand’s social media accounts knows what to do if your account is hijacked. The plan should be in writing and reviewed with the staff quarterly.